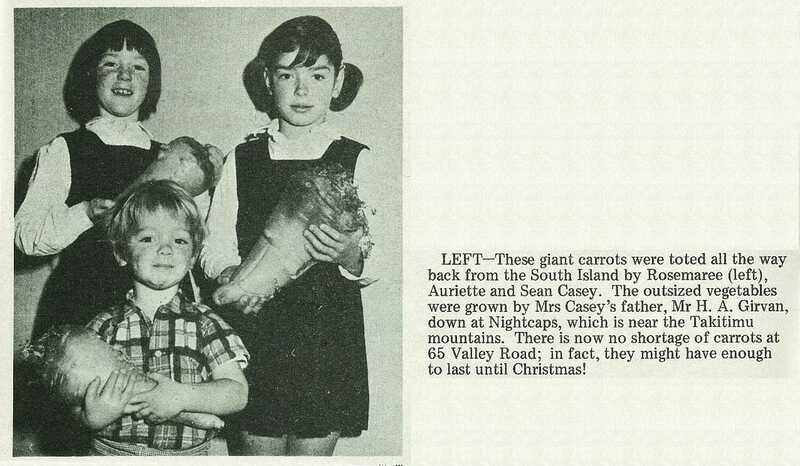 These giant carrots were toted all the way back from the South Island by Rosemaree (left), Auriette and Sean Casey. 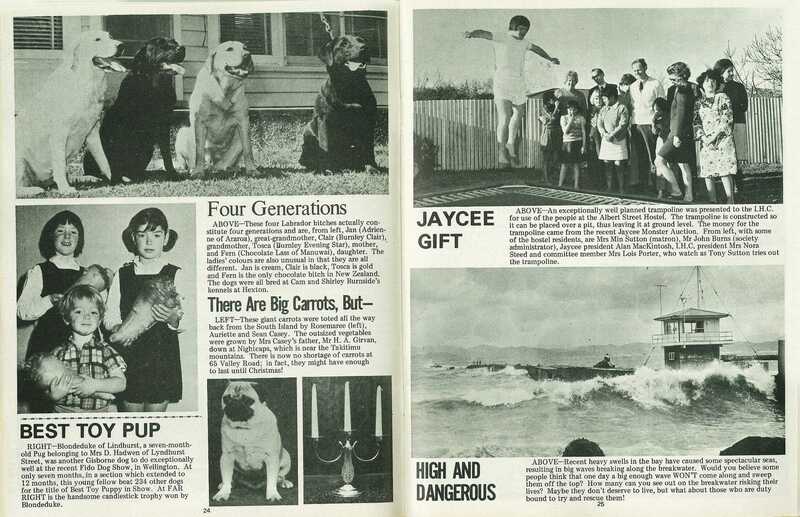 The outsized vegetables were grown by Mrs Casey's father, Mr H. A. Girvan, down at Nightcaps, which is near the Takitimu mountains. There is now no shortage of carrots at 65 Valley Road; in fact, they might have enough to last until Christmas!